Recommended by Fodor's Travel! Enough food for lunch/brunch, plus fascinating tales along the way! Enjoy some of New York City’s best and most unique food stops with a local! 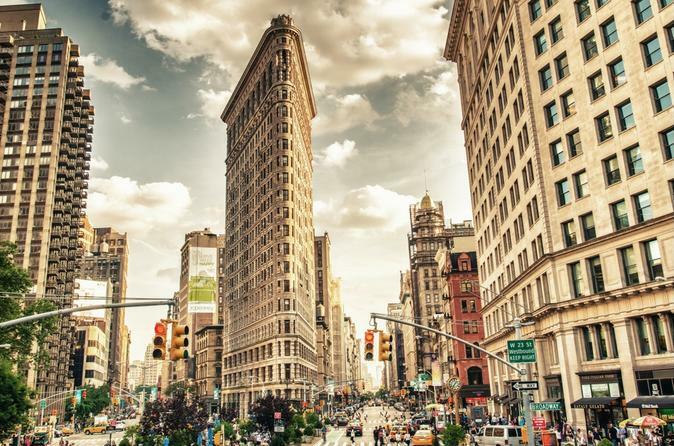 Explore two of New York’s most iconic and picturesque neighborhoods: Flatiron & Union Square. On this tour you will enjoy gourmet tastings -- enough food for lunch. PS - this tour has excellent substitutions for vegetarians. You will walk one mile. We also stop for photos at the famous Flatiron Building and explore Madison Square Park and Union Square and learn about their incredible history. Please note that food stop are subject to change. Over a hundred years ago, the Flatiron District was a very important commercial and residential district in New York City. The Met Life Tower was once the tallest building in the world, many important historical figures lived in the neighborhood and there was of course, Ladies Mile. Today, this incredibly beautiful and charming neighborhood is full of the city’s best restaurants and shops. Come enjoy all the modern day popularity of the Flatiron District and hear the interesting tales of what came before.